Playing Online Lottery in New Jersey: Is it Possible? US lottery fans have found themselves holding the short end of the stick—as far as online lottery goes—for a while now. Online gambling has been largely illegal and heavily regulated in most states for decades, but all of that seems to be changing with New Jersey leading the charge. Yes—you read that right. Playing lottery online is going be legal in the Garden State soon. If you’re a lottery lover, this is a HUGE game changing deal! That said, before you get ahead of yourself, let’s take a closer look, shall we? It’s not as cut and dry as it appears to be—not to mention the road to get to where it is now is quite an interesting read as well. First, let’s take a brief trek through time. 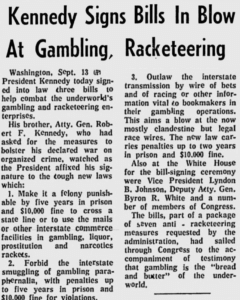 It was back in September 13, 1961 when then President John F. Kennedy signed the Interstate Wire Act which prohibited all sorts of betting businesses from operating. It was a move that they hoped would deter organized crime. Still, the Wire Act became the basis for authorities banning online gambling—even though the internet didn’t even exist back then—for many years. Though the wording of the Wire Act made it clear that placing bets on sporting events or contests via wire communication is prohibited, the DOJ has long argued that it also encompassed wagers placed via online lottery couriers. It also didn’t help that, years later, another legislation would make it even harder for states to offer online lottery. In 2006, then President George W. Bush signed the Security and Accountability for Every Port Act. It was aimed to protect the United States’ ports by giving customs agents the authority to inspect cargo containers for any dangerous materials. So, what’s the connection to online lottery? Tucked away into the US Port Security Act was the Unlawful Internet Gambling Act (UIGA)—a legislation that made significant headway in finally banning online gambling. For some time, it was regarded as the final nail in the coffin as far as hopes for playing lottery online goes. In September 2011, the US Department of Justice itself flip-flopped on their previous statements, opining that the Interstate Wire Act only referred to sports betting and not online gambling. It was a crucial step in the right direction. The DOJ’s backtracking on the Interstate Wire Act would pave the way for the (slow) resurgence of online lottery in the United States. For one thing, it allowed states to sell lottery tickets online, as well as allowed them to pass laws that would allow intrastate online gambling. This, in turn, would lay the ground work for New Jersey to start legalizing it again. However, the journey to get there was a long and arduous one. While other states, like Minnesota, began offering online lottery subscriptions as early as November of 2011, New Jersey held off on offering its own online services—despite already having a legislation proposal in the can. Why? Like any controversial legislation, there was opposition from all sorts of people. Compulsive gambling groups, for starters, believe that making lottery easily accessible online could cause teenagers to become addicted to it—or that it could make things worse for those with existing gambling problems. Convenience store owners, meanwhile, feared that the introduction of online lottery in the state would cause their sales to plummet. It’s not just physical lottery sales they were worried about—but sales for food or drinks that regular lottery players would have bought along with the tickets, too. 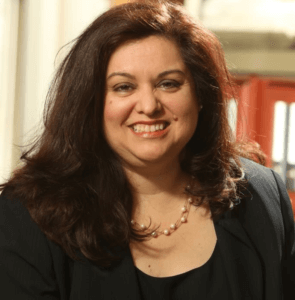 Assemblywoman Annette Quijano felt otherwise. She was the main proponent of the legislation, after all. After failing to make it in time to buy a lottery ticket, she felt that—as the world was becoming more reliant on the internet—it was time for New Jersey to introduce online lottery into the mix. Former Sen. Raymond Lesniak apparently thought so too, because he introduced a similar bill in the Senate. Both of them fought to have their proposals pushed through, but it wasn’t until years later that both of their visions would come closer to fruition. However, it was another tandem that would eventually succeed. In late 2016, right before Christmas, a bill that was co-sponsored by Atlantic, Sen. Jim Whelan and Assemblyman John Burzichelli pushed through the legislature. Signed into law by Gov. Chris Christie, the bill would finally legalize online lottery in New Jersey. Surprisingly, the bill itself didn’t attract much attention at first—mainly because it simply allowed lottery courier services to legally operate. Not many realized the full scope of the bill immediately. Upon closer inspection, the wording of the bill makes it possible for New Jersey to authorize third-party online lottery services to operate in the state. Lottery courier services are authorized to sell lottery tickets online. They are also authorized to take payments via credit card. They can purchase and hold tickets on behalf of customers. They can redeem winning tickets on behalf of customers. In addition to the co-sponsors of the bill, Malta-based Lotter Enterprises, who owns lottery site theLotter, also lobbied for the courier bill to be signed into law. This isn’t really much of a surprise. Since most lottery sites can’t offer their services to US-based players, it makes perfect sense for the leading lottery agent in the business to push for online lottery legalization in the country. 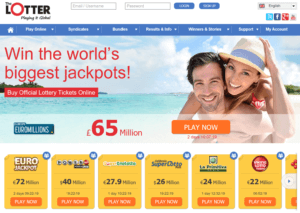 Lotter Enterprises owns theLotter, a leading lottery site. 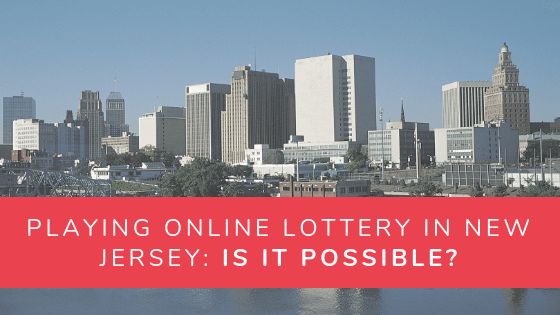 Marcel Klugman, founder and director of Lotter Enterprises, shared that he chose New Jersey specifically because online casino gambling has already been made legal by the state—therefore, online lottery was more likely to follow suit. It wasn’t really a question of if but when, especially considering how many people have been pushing for online lottery to become legal in the state over the years. Despite having already been signed into law, there are still those that oppose the move. Carole Hedinger, Lottery executive, feels that it’s quite a risky proposition. Plus, even if the Garden State’s lottery revenue has stumbled, Hedinger feels that adding online lottery won’t help the situation. Meanwhile, Robert McLaughlin, a former NY State lottery executive, feels that introducing online lottery services to the mix makes way for potential fraud. Adding a third-party lottery agent to the mix could become problematic down the line, he argued. So, who’s right? Will the introduction of online lottery be better for the state of New Jersey or will it lead to more problems? Right now, it’s unclear. What’s likely is that if problems do occur, other states might not be so keen to follow in New Jersey’s footsteps. However, Lotter Enterprises has a pretty good record in the online lottery industry so it’s at least a good sign of things to come. In any case, I guess we’ll find out soon enough. Lotter Enterprises is gearing up to launch its online lottery services in New Jersey on November 1 of this year. Please i won huge grand lottery prize amounts. I need urgent pick up send me lumsum amount, Deduct all your charges. Dont delaying. Hey, Ravi. Best to get in touch with the lottery operator and any online lottery agent you might have used for that ticket. Cheers.